So, you’re playin’ Sega with your pile of games you’ve collected over the last ten or fifteen years and your getting kind of bored. 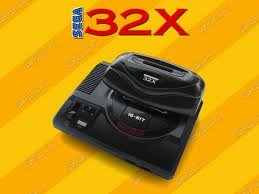 You’re thinking: “I’ve heard of that weird 32X thing, and I have always wanted to get one, and I am starting to get interested in collecting!” But you are broke and don’t want to spend too much money on a bunch of gaming doohickeys and knickknacks that you are never going to use and aren’t worth anything anyway. So, what do you buy, and how much do you buy it for? And whom do you buy it from so you don’t get gypped? Well, follow me and we will begin the treacherous journey that is the Genesis 32X. So, first of all, you have to get the 32X. Well, there are not many places to find it, so unless you have a super awesome local retro gaming store has a system sitting in the oh so sweet glass case for under $75 (American, of course), your going to have to go to eBay to find it, or get lucky and find some lowdown flea market seller. Once you have actually found a working system to purchase, you have to realize what you are looking for when you are looking into getting the 32X. First off, when you look at the system, it is essential to make sure that it has the cord that goes from the Genesis to the 32X (henceforth known as “The Cord”). If it doesn’t have the cord, it’s pretty much not worth buying, because the cord is a requirement for the graphics to appear on the screen. It is quite a hassle finding the cord separate from the actual machine and not worth the hassle to find it aside from the machine itself. Okay, once you know the cord is included, there are a few more parts required depending on which model of the Genesis you have. If you have the Model 1 Genesis, there are some metal tabs that slide into the cartridge slot that allow for the machine to fit on top of the Genesis. If you have the Model 2, there is a plastic spacer that fits in the cartridge part of the 32X that allows it to fit properly into your Genesis. If you have a Genesis 3 (get a Genesis 2! ), you are out of luck as the 32X is not compatible with it. Don’t even think about trying to put it on a Nomad either, but it does work with the CDX, but according to Wikipedia, it causes spacing and balance problems. Don’t spend a ridiculous amount of cash on it only to be disappointed. Find what is right for you and don’t go overboard. I spent about sixty dollars on it and I felt fairly confident in my purchase. Occasionally you will see some vendors trying to stiff people and sell it off for a ridiculous amount incomplete, so set your limits, keep in mind that no matter how enthusiastic or excited you are to own a 32X, that you are going to be disappointed for many reasons, nearly too many to count. Is it Complete AND does it come with any games? You just have to make sure it comes with all of the cords, and if it does, see if you can get a copy of it with the box too. If it has all of the wires, and it’s cheap enough, you are in the clear to purchase. Now, when you purchase the system, look into seeing whether it comes with games or controllers. That is always a plus to purchasing a 32X, and should be considered when you are looking through the few that are available. Do I need anything else to play the 32X once I have purchased it? I would recommend at least owning a six button control pad, as some games for the 32X require it, such as Cosmic Carnage and others (even though Cosmic Carnage is awful). To completely experience the 32X power, a six button arcade pad would be pretty classic. Either way, its pretty essential, though not necessarily a requirement to own a six button pad. Okay, so you’ve answered these questions and have the chance to get one go ahead and get it. After you get it, start to think about which games you want to get for it so that you build up a solid library. First of all, get the games that it was known for, such as Star Wars Arcade, Virtua Racing Deluxe, Doom, etc. Those games are nearly essential to any 32X experience. They are all certainly worth the price you are going to pay, which should be less than twenty dollars (or pounds, euros, etc.) for each. The “classics” or games that the 32X is remembered for are usually no more than $25, the mediocre games that are unique in someway, like Kolibri are usually $15, and the rest of them are either $10 or $8, all fairly reasonable prices. Every time I go to Game Hits I am told that I am the only person to ever buy 32X games from them anyway, so I can’t complain. That doesn’t mean that people aren’t trying to get you to spend a lot of money for a crap game though. After getting the classics, get as few or as many games as you want to, because really, few of them are worth it. I have been buying a few at a time since I got mine in the summer of 2007, and I have a decent library of games consisting of good to miserable games, like any collector, fan, and lover of the Sega Genesis and its add-ons should. Now, in a future article either I or someone else will describe how to build a decent library of games for this quaint little attachment, and I hope I have provided you with the tools necessary to purchase and enjoy this weird monstrosity. But buyer beware: no matter what you pay for it, you are going to be disappointed at least for a while. Have fun and play away! 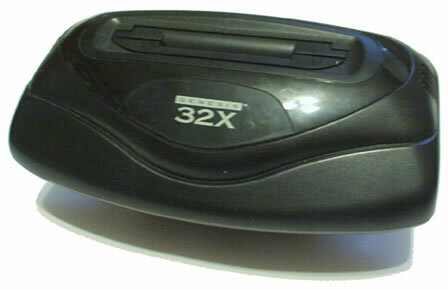 I have one 32X for my MD2, but unfornately I couldn’t buy it with the plastic spacer. I can find one at amazon, but 40$?? Next please! So I found this guy that designed one spacer that fits perfectly, but it’s not like the original spacer for 13$ (model 3d). What do you guys thing? A 3D printed part will distune my collection?